a secret book of Wisdom and Divine Feminine tales. and a wondrous healing tale for all! and the similarities with other fairy tales! at Cloister of the Heart. of Lourdes, the Immaculate Conception on 11 February. 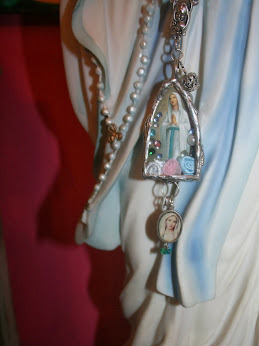 of the Art Novena to Our Lady of Lourdes on my blogs. the feast day of the Lady of Lourdes. When one participates in a ritual (probably any ritual, but when you regard it as sacred, you add a certain 'light' to it) you are transported into a different time and space : colors are different; the light is different; everything has meaning and the ordinary become extra-ordinary. 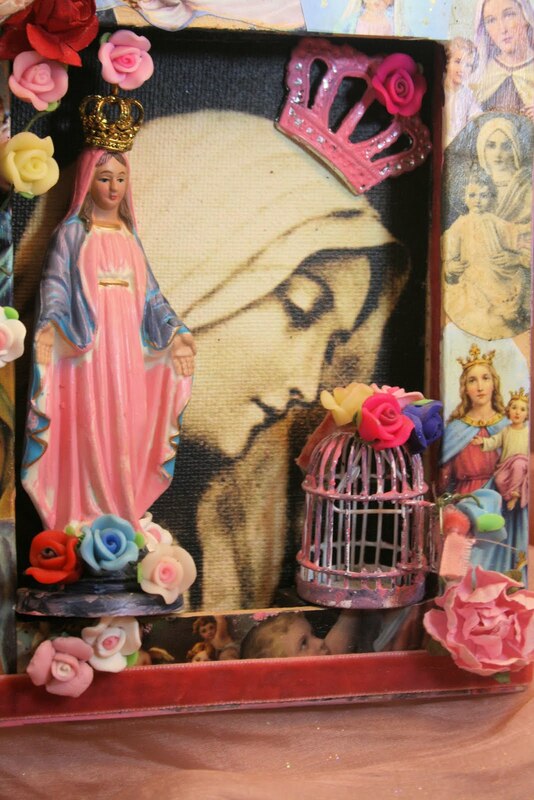 My art novena for Lourdes in particular, highlights my statement that our lives are the altar to the Divine and I strive to capture that numinosity of the sacred ritual in my photographs and altars. 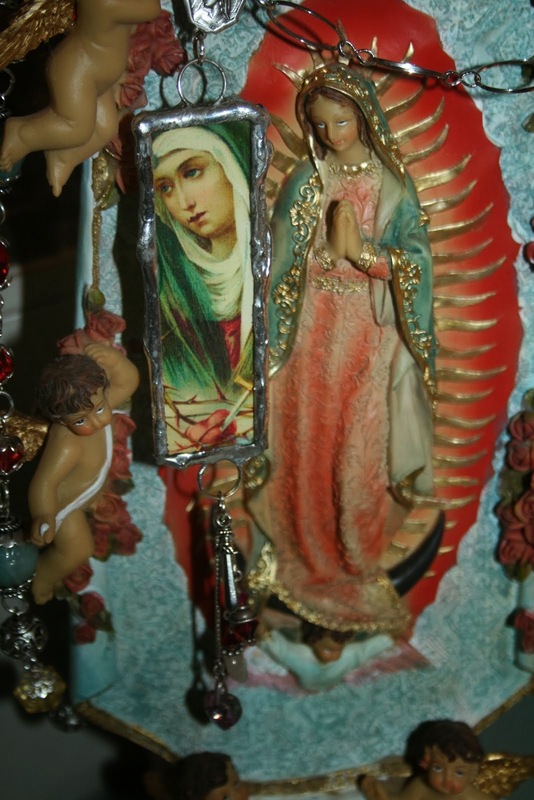 I only started creating sacred altars on my return from Lourdes. 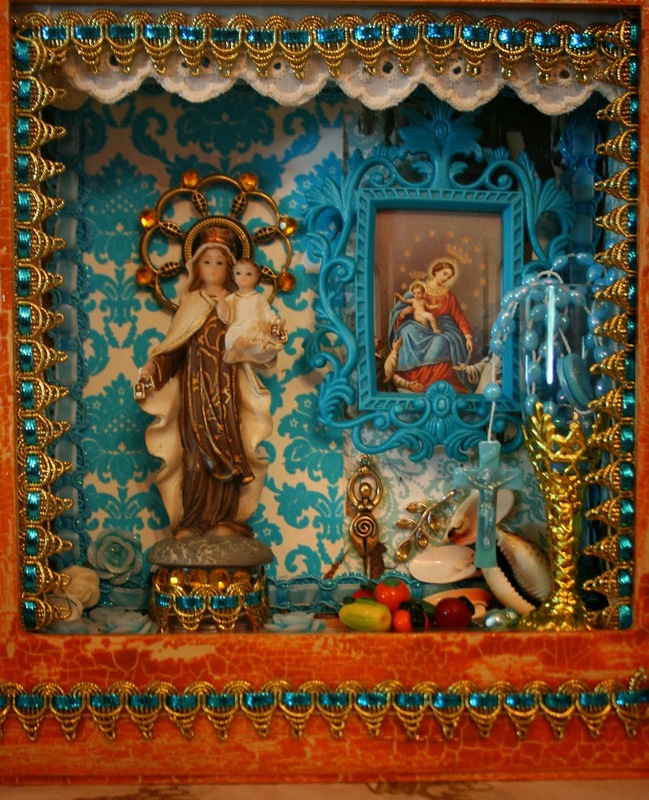 These small shadowboxes are vignettes, a moment in time in the life of ordinary human beings, lifted out of the mundane into the numinous, merely by seeing life as sacred. based on the Benedicaria way. and the sanctification of the ordinary through the blessing way. 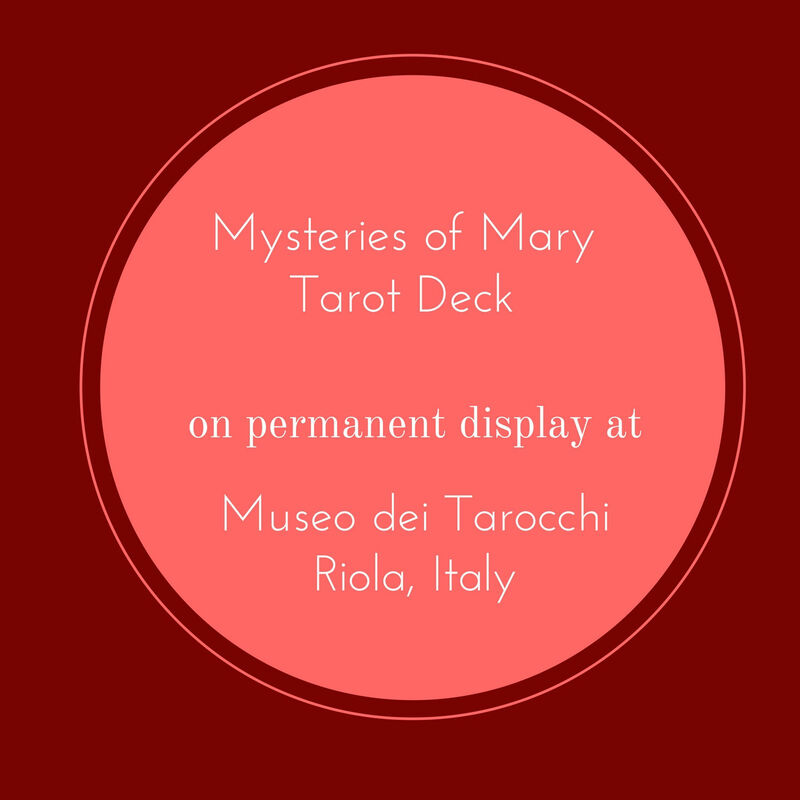 that I create complement the Mysteries of Mary Tarot Deck. Recently I learnt about the ancient tradition of Benedicaria and the work of a Benedetta. Although I am not born into the Italian culture, my journey as pilgrim did start in Italy with the call issued by Archangel Michael to visit his grotto in Mont Sant’Angelo and I see myself as a modern Benedetta, continuously uncovering more. Benedicaria, the Blessing Way, is an ancient Catholic and domestic folk tradition practised by the Italians in Southern Italy. This tradition is fast fading from modern society, but many of its practises are still part of syncretic worship and devotion. One who practices the Benedicaria, is known as a Benedetta, or a Wise Woman and a Benedetto, a Wise Man . Benedicaria is a private form of practising your religion and it blends with many domestic practises, such as the blessing of animals and herbs, infusing oils and elixers, creating an altar, using flowers and holy cards for blessings and wisdom. Benedicaria is predominantly a woman’s practise. Demeter, Hestea, Bridgit and even Athena. She is the homemaker, mother, herbalist, gardener, chef and healer. she understands the spiritual force that is being wielded. The preparing of food is not only a physical act, but a spiritual one. if done in anger and ignorance, it will curse the family. The physical life and its objects are manifestations and representations of the life and existence of the spirit. Taking care of our physical life is a sacred task and when performed with intent and awareness we realise that the ordinary is indeed sacred. sections to the Mary and Goddess sets. to the relic of the Chemise of Our Lady. 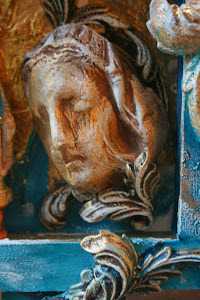 my shop The French Madonna @etsy.com in the next fortnight. hidden secrets of her own! I discovered the Casa Loreto in Prague. I will share the story with you in another post with many pictures. Each one of these sets are unique. into holy wells, sacred rivers and miraculous places of healing. 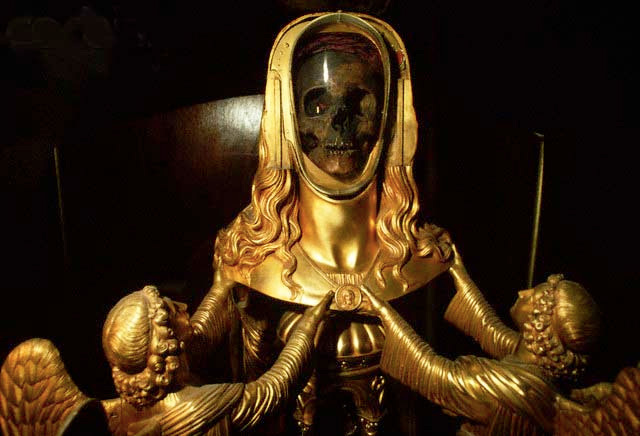 of sacred relics and special statues. and can they can be used together. an astrology and colour reading. 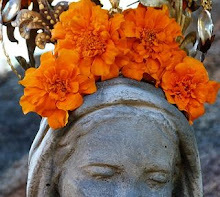 feminine to our consciousness and awareness. I share many pictures and updates on Instagram @thefrenchmadonna. is an intuitive inner journey that takes practise. to trust your intuition and your inner voices and prompts. Life is a journey filled with markers and pointers for us. and to shift all responsibility onto a Higher Power. and negative of our own personal hand. This is where amulets, charms and tarot becomes so valuable. want to ascertain from these readings. them onto the casting sheet. The sheet has been divided into four quadrants. are handwritten onto the casting sheet. You can add your own with a sharpie onto the linen cloth. Past, Present, Future and Unknown. 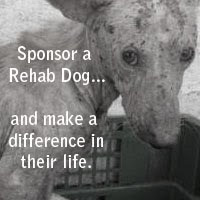 You can do the same. its deeper meaning to you over time. Sometimes the answers are just so obvious and right there. In the new sheets I have added key words to the four sections. is trying to draw your attention to. The Chalice is seen as a sacred and holy object in ancient Grail legends, Arthurian myth, Mary Magdalen myth and in a Christian hymn Mary is called the Chalice. The Chalice is also regarded as the holy grail and there are many theories : some believe that it is a physical cup in which Jesus’ blood was collected after the crucifixion by Mary Magdalene; others believe that the the Holy Grail is a women or the strength of a woman. In the Mary Mysteries, she is the Chalice and the Holy Grail. She is the strength and compassion that floods our soul; she is the Waters of Consciousness that flow everlasting from the Chalice. Meaning : sacred vehicle; when you get the chalice in a reading it indicates the vehicle in which your blessing will appear; it also points to the direction in which you have to go; it shows in which area of your life you have to pay attention to your dreams. you that your mind should be in service of your heart. you will become aware of an important message. Let's see how the other charms relate to the reading. 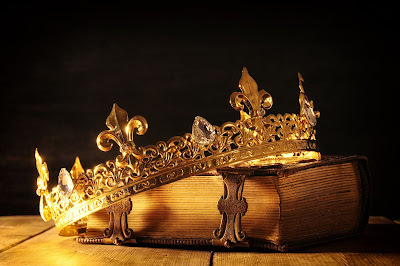 The tale of Esther (Star) is an allegory of a feminine majesty who once stood as equal to her spouse the king and was the instrument through which her own blood relatives and all of the nation were saved. This echoes the place of Sophia who was present to God at the creation itself and helped it all come into being through her assent to the plan. This story of Esther may be a “fossil” that remains in the Bible and allows us to see how Israel first regarded the feminine, before the patriarchal powers purged the nation of all forms of the ancient Goddess known as the Shekina, partner to the masculine manifestation of God. “Esther” is another form of the Babylonian goddess Ishtar, (Star) who was also called “Queen of Heaven” as was the Egyptian Mother Goddess, Isis and as Mary is yet called today. “Esther” is another form of the Babylonian goddess Ishtar, (Star) who was also called “Queen of Heaven” as was the Egyptian Mother Goddess, Isis and as Mary is yet called today. is a feminine quality and often neglected or suppressed. achievement, logic, rational thinking, goal setting and so on. to meditate, contemplate, spend time alone and more. Mermaids are regarded as mythical creatures. They appear in many folk and fairytales. In the story of Ariel, the mermaid, many parallels can be seen in her story and that of the goddess and specifically the story of Mary Magdalen. The mermaid is also symbolic of a woman’s ‘watery’ nature and her intense emotional body. Through the ages the emotional and feeling nature of women has been demonised and women have been institutionalised for ‘hysterics’. Her spiritual nature has been suppressed in many ways and many have made sure that women have lost their ability to have both a mermaid tale and a pair of legs to walk on land when needed. And Mermaid in Body sums it all up. from the booklet and additional information sheets. which you can print at home. 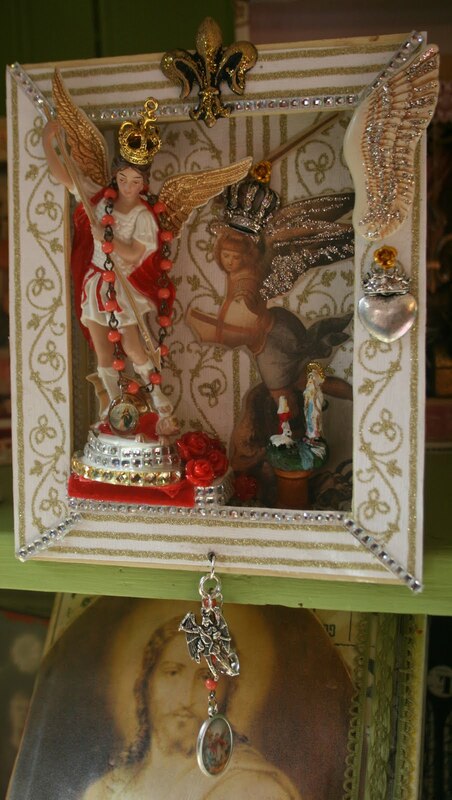 The Amulets of Mary Oracle is a two-fold oracle, blessing and healing set incorporating various ancient traditions including the Benedicaria, the sacred path of the pilgrim and priestesshood in the Temple of Mary and the sanctification of the ordinary through the blessing way. The Amulets of Mary Oracle and the Mysteries of Mary Tarot Deck are a culmination of my own conscious spiritual journey of the past 25 years. It incorporates the practise of Sacred Altarmaking, the devotion of the pilgrim to sacred places, the use of holy waters and relics, the creation of sacred oils and elixers and my work as Diksha giver (Blessing giver) and Guru in the Shaktipat tradition of the Great Mother and my devotion to the Blessed Mary. I learnt about the ancient tradition of Benedicaria and the work of a Benedetta. Although I am not born into the Italian culture, my journey as pilgrim did start in Italy with the call issued by Archangel Michael to visit his grotto in Mont Sant’Angelo and I see myself as a modern Benedetta, continuously uncovering more. 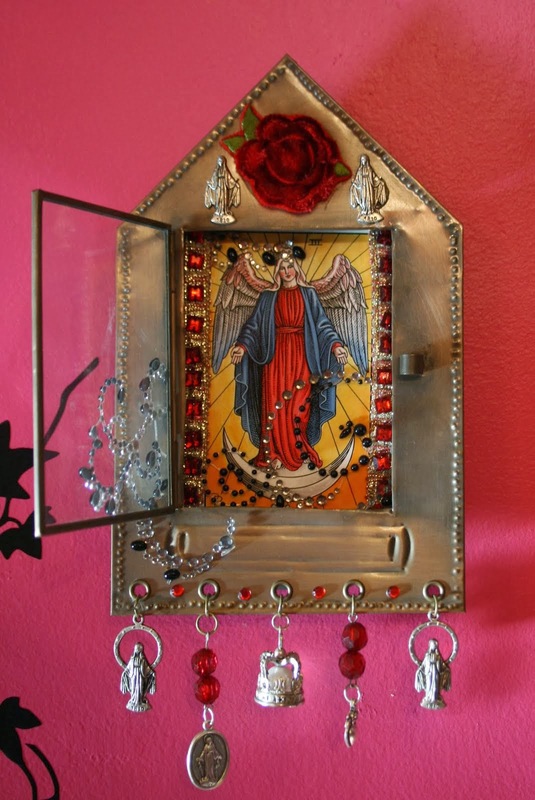 The Amulets can be used with and alongside the Mysteries of Mary Tarot cards. Catholic and domestic folk tradition practised by the Italians in Southern Italy. This tradition is fast fading from modern society, but many of its practises are still part of syncretic worship and devotion. Benedicaria is predominantly a woman’s practise. A Benedetta has much in common with the goddess archetypes of Demeter, Hestea, Bridgit and even Athena. She is the homemaker, mother, herbalist, gardener, chef and healer. This role is not regarded as of any importance in modern society, but for one who is spiritually aware and who undertakes these tasks with great intent, she understands the spiritual force that is being wielded. The preparing of food is not only a physical act, but a spiritual one. If this is done in love it will bless the family; if done in anger and ignorance, it will curse the family. The motto ‘cleanliness next to godliness’ means much more than meets the eye. When you keep your spiritual space, ie the home clean, you also keep your spirit and its physical space clean. 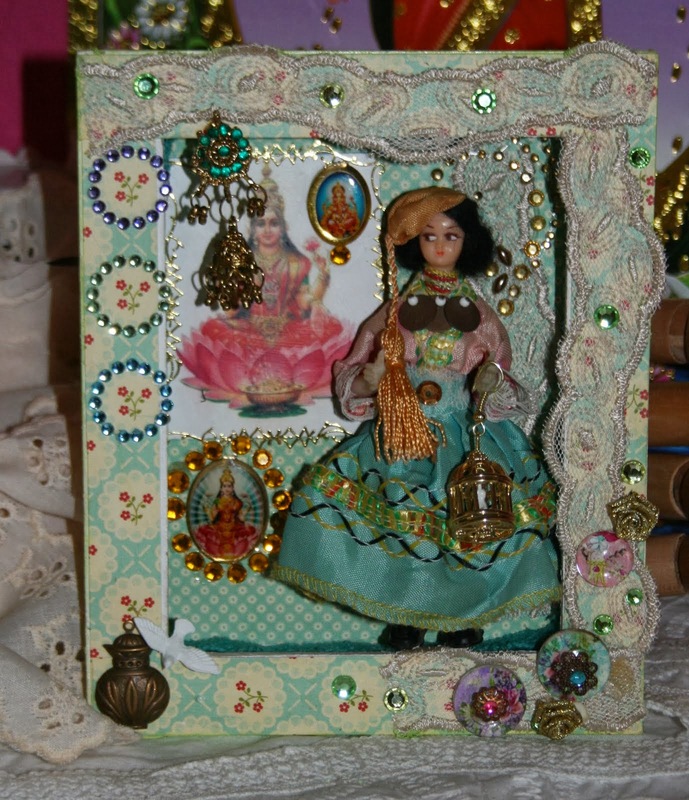 Every Benedetta will have a home altar and a personal altar. The Amulets of Mary Oracle set can be placed on your altar along with the Mysteries of Mary Tarot Deck. the holy cards and more. The novena prayers are an important part of the Benedicaria. A novena is a prayer that is said for nine days consecutively. It is said that the first Apostles prayed for nine days between Jesus’ Ascension and the descent of the Holy Ghost at Pentecost. The number 9 is a very powerful number in numerology (the science of numbers). 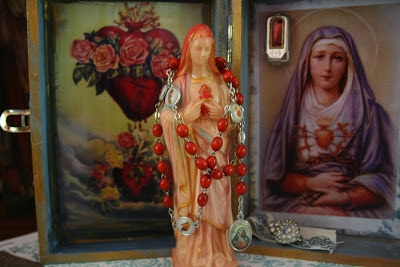 Usually a novena is accompanies by candles, rosaries and ritual such as sacred shrine making (see my blog http://pathofdivinelove.blogspot.com) for my art novenas to Our Lady of Lourdes. 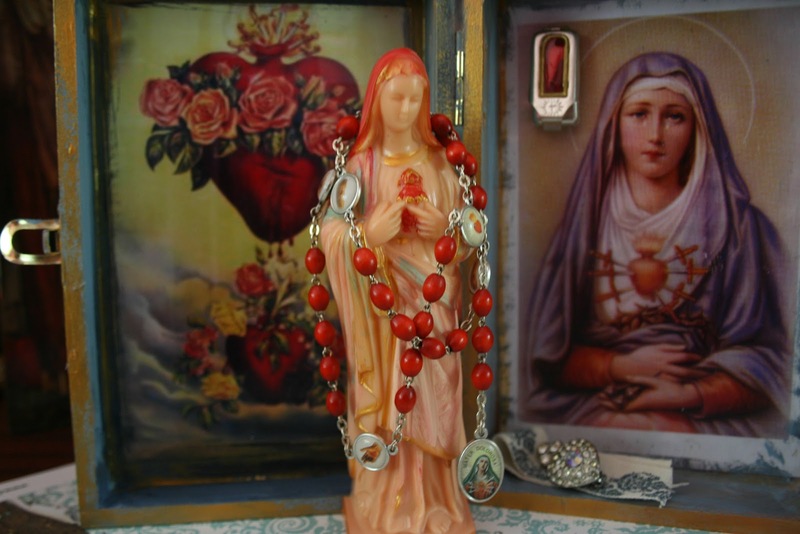 The ancient novena prayers are used in conjunction with all of the above as well as an image of the Saint and those who you are praying for. It is also practise to include the colour of the Saint or Holy One that you are asking for help. an accompanying spiral bound guide book; a small statue for the altar and other options. 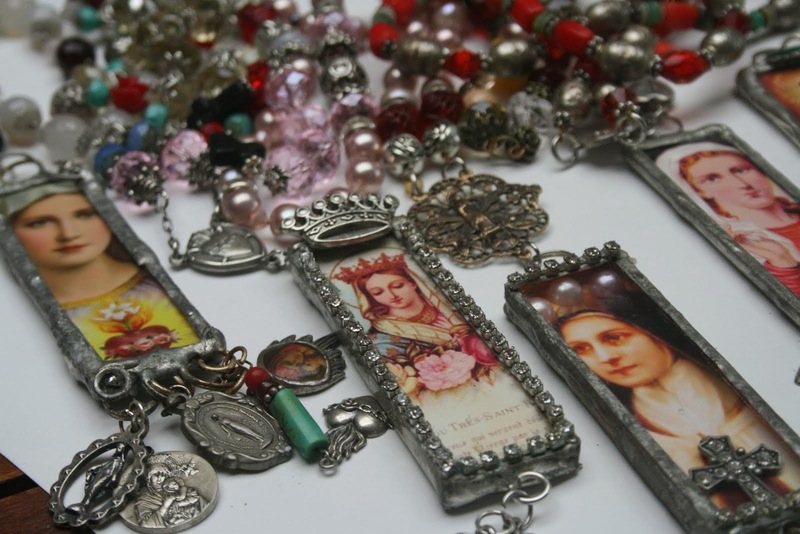 Each set is completely unique and one of a kind and cannot be replicated exactly as I use vintage charms, hand cast silver charms and vintage holy cards amongst others. 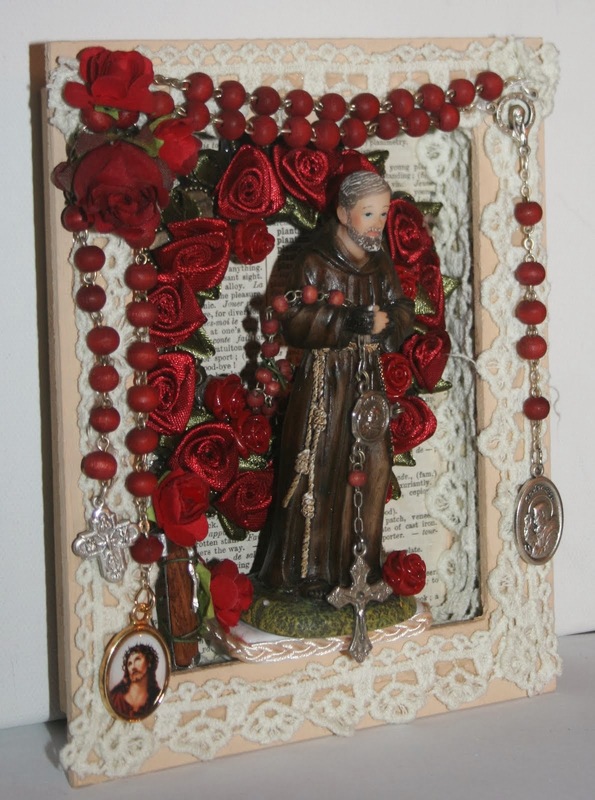 There are various sets available : some are dedicated to a particular saint or saints; others to Mary and Her apparitions or a specific apparition, etc. You will find more information on the various available sets at The French Madonna on Etsy.com or on my blog. The casting cloth has been blessed by touching it to the second and third holy relics of Mary’s sacred chemise and roses from St Terese’s sacred garden, as well as roses from the garden of St Francis and other holy relics. It has also been sprinkled with holy water from Lourdes and Ngome. On the casting cloth is a hand drawn diagram. The tree plays an important role in the Mysteries. In this card we are confronted with the Tree of Choices. In the Biblical and Judaic stories there are different versions of the trees of Paradise. It would seem that there was in truth only one tree, the Tree of Life. This is an ancient symbol of the self-sustaining and regenerating power of a spirit filled world. In the story, this tree was later split into two, the Tree of Life and the Tree of the Knowledge of Good and Evil. After the split of the trees we see that they are now in opposition to each other. After the fall of Adam and Eve, caused by their eating from the fruit of the tree of Knowledge, humanity was cut off and banned from the Tree of Life. The Tree of Life promised eternal life and humanity was now doomed to a mortal and exiled life. In this shrine I compare the metaphor of the two trees with the way in which our culture have split value and worthiness of masculine and feminine and then still further dividing the feminine into the ‘good girl/virgin/wife/mother and the bad girl/lover/wise woman. This split is reflected in the way that the stories of Mariam of Nazareth and Miriam of Magdala, is interpreted and held up as image of the two aspects of woman . Popular legend has assigned the apple tree to the Tree of the Knowledge of Good and Evil. The apple is a powerful symbol of woman and her feminine sexual nature. (Also see V Holy Rood, The Handless Maiden for more on the symbolism of the apple tree). In this version of the story of the Fall of Man, woman and her sexual nature is held responsible for their eviction from Paradise. So right at the onset a woman has been forbidden from getting to know and understand her complex sexual nature. There is an inherent sexuality in physical bodies; one could say that the soul radiates its mystical and sexual nature through its physical cloak. But humanity has been severed from this mystery and all its gifts. In the Christian story we are only told the story of Mary the Virgin-Mother, the one who conceived immaculately and who remained a virgin even after the birth of her son. We never really meet Mary the Beloved of Jesus, the Bride of the Bridal Chamber, the one who is called the Magdalene. Mary the Mother of God is indeed a Bride without a Bridegroom as She is the Bride of the Spirit, but there is another sacrament in the mysteries, that of the Bride and the Beloved Bridegroom.. This brings us to Mary Magdalene and the various interpretations of her role in the story of Jesus and the three Marys. Few accept Mary Magdalene as the beloved or the bride of Jesus the Bridegroom. Mary Magdalene has been blackened in reputation by various authors of religion through the centuries and mostly she has only been seen as an unholy woman who indulges in pleasures of the flesh. Religion has always separated the life of the flesh and the life of the spirit and especially in the treatment of women as wives, lovers and mistresses. And we see this split right at the start of the story with the two trees in the Garden of Paradise. 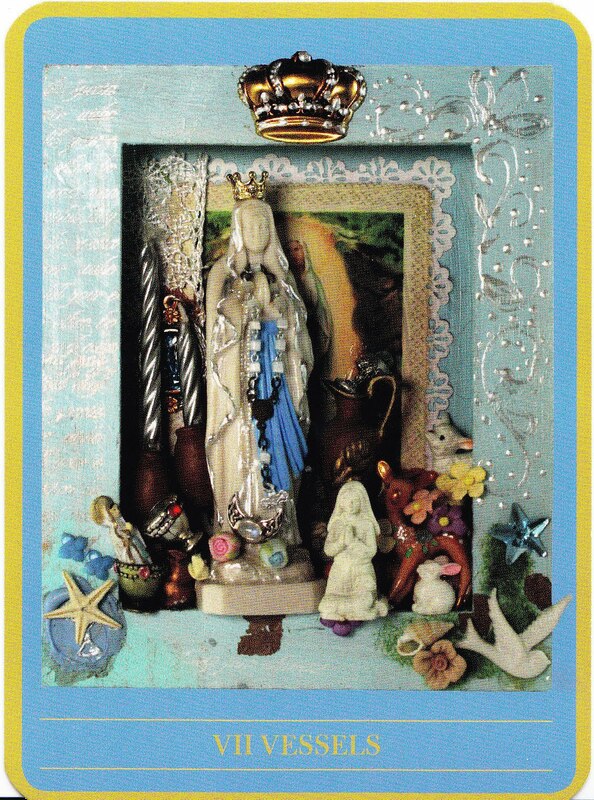 In this card we see Mary the Mother with the rosary in her hands and we see the black Mary as she is depicted in the poem ‘The Thunder, Perfect Mind’ in the Nag Hammadi library. In this shrine she represents Mary Magdalene and ultimately both together represent the Feminine Soul and aspect of the eternal feminine. Both these women carry the name Mary and to me it is an important indicator that there is an important hidden message for those with ears to hear. 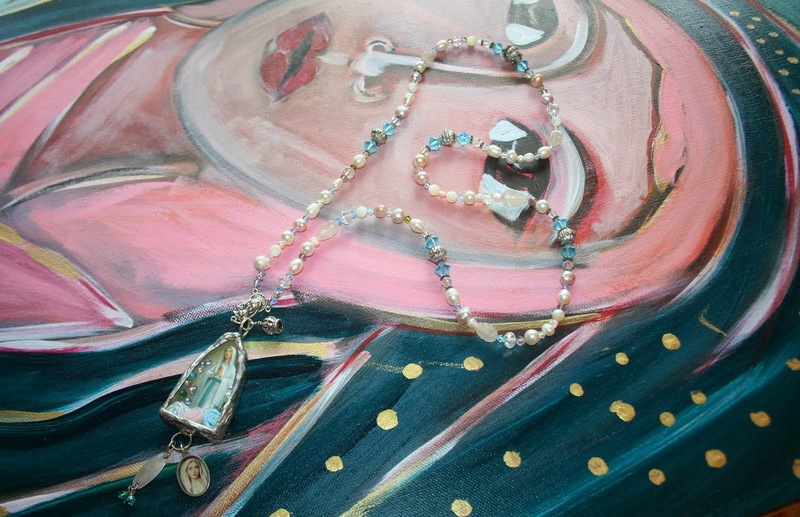 The split between the Madonna and the whore is active in many layers of our cultures. Women are demonised for the expression of their sexuality, whereas men are honoured and revered for their sexual prowess. In the traditional Lovers card we often see a male hero struggling for a choice between two women. In the Mysteries card we have the female version of the choices card. Women are mostly compared to men and masculine pursuits and rarely in relation to other women and themselves. This creates an imbalance in women and a suppression of womanly ways and feminine relational values. Hecate, goddess of choices, is often shown with three roads behind her. One plus one equals three: new life is born from struggling and discord. Living with the tension of the opposites, allowing disagreement and another's voice that differ from yours, to be heard, brings awareness to the glassy mind, of the awesome beauty of creating a life that has meaning. There is a place where all the rivers converge and that place is the Sacred Heart of humanity. Through the union of the opposites, that is, through the marriage of two opposing forces, a third force is born. This is the meaning of creativity and the magical nature of the number three. (This card is a six and thus contains two threes). On the path of divine love, the magical child of love and hope is born from the marriage of the opposites. The braid of life contains three strands which can be symbolised by the colours white, red and black. In the ancient cultures the hawthorn tree was regarded as a sacred tree. Today the hawthorn tree is sacred to Mary and the goddess as well. This specific tree contains all three elements of the thread of life and even more importantly, they overlap. The white blossoms start to form whilst the red berries and black seeds are still hanging on the thickly leaved branches. The white is regarded as the 'virgin', the cycle of spring and new beginnings; the red berries represent summer and the fullness of the season and the physical acts of sensuality and joy and loving and the black seed contains the potential of fathering the new life and it also is the end of the life of the berry. As we dance and weave with the tension of desire and repulsion between the opposites of life, we discover new possibilities, new experiences and we weave a new story. 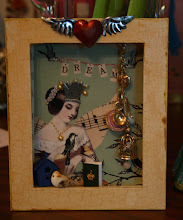 This shrine and card represent choices. The Tree of Choices invites you to consider the choice to say ‘both’ instead of the black and white rationale of ‘either/or’. You will be given the opportunity to make a decision and you are reminded that it is possible to find a new way and a different way of reacting and of doing things. You are reminded that it is only fear that will force you into a corner, and thereby denying half the picture. When you are willing to keep an open mind and an open heart, it is possible for a new vision to be born.